Much has been written about Kodak's recent bankruptcy filing, and the consensus seems to be that Kodak missed the shift into digital cameras. However, I don't agree. The problem is that even a successful digital camera business couldn't carry the cost structure of a Kodak. At its heyday, the company owned virtually all of the high margin film and paper business. It is hard to conceive of a digital camera strategy that could generate similar incomes. Even in the 1980's, the decade before digital photography, the camera manufacturing field was crowded. Cannon, Nikon, Pentax, Vivatar, Agfa, and Fuji to name a few. Even in the early days, it was clear that digital photography would bring new players to the market, such as Sony, and Hewlett Packard. In order for this to be a successful transition, Kodak would have needed to capture 80+% of the market and to have generated profit margins of at least 30%. Today, the most successful manufacturer has a share just under twenty percent. In other words, even if Kodak had been successful in digital photography they would probably still be in bankruptcy proceedings in order to dump outdated assets and right-size for this smaller market. Furthermore, in this scenario we would all be writing these articles again in five years. The problem is that Kodak's strengths have not been in digital SLRs, but in point-and-shoot cameras. 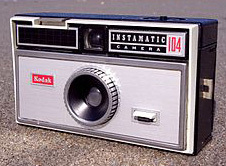 Kodak's decision to specialize in consumer-orientated cameras was made long before the era of digital cameras. The end is in sight for dedicated point-and-shoot photography. Estimates are that globally smartphones are 29% of the market, and 63% in North America. Arguably, the iPhone 4S is competitive with many point-and-shoot cameras today, and the next few years will probably see the elimination of the point-and-shoot market. Kodak didn't need to cling to the old world of photography, but they should have addressed their strengths in regard to the new world. I had a conversation with an executive at a Kodak subsidiary in 1994(ish) in regard to their photoCD business. At the time they were struggling to find traction for this market. My suggestion was that they think about applications that would drive adoption. Why did people really need images on CDs? They couldn't print them and they couldn't share them. I envisioned a community for sharing memories with Kodak as the natural partner and guardian of consumers photo memories. This was early in the days of the internet and communications speeds would have limited graphic sharing. However, Kodak was in a position to own the online 'memory capture' market, and could conceivably have become the Facebook of today. The purpose of this note isn't to brag upon how omniscient I am. I didn't really have a complete Facebook clone in mind, and I doubt I would have pulled off the Facebook vision. Furthermore, I also had ideas that were less interesting. For example, I thought of approaching insurance companies to document cars, houses, and household contents at the time of policy creation. These documents could be stored electronically and used in support of eventual claims. I still think this was a good approach, but it certainly didn't have the scope to replace the entire Kodak business model. A completely different take would have been to build off of Kodak's manufacturing prowess. Their strength was in the high-speed bulk manufacture of coatings and base stock. Certainly this could have had applications in many products. For example, tape and wall paper come to mind. The purpose is to look at how existing organizations reposition for emerging markets. The bottom line is that trying to defend an outdated business was (film and paper) and is (point-and-shoot digital cameras) a losing proposition. The better approach is to look for opportunities in the new world and to consider how best to serve those opportunities.